Augustine was born in Tagaste (present-day Algeria), in Africa on November 13, 354. His father, while holding an official post in the state, remained a pagan until late in his life. His mother, Monica, was a devoted Christian. She had had him signed with the cross and registered among the catechumens, but she was not able to secure his baptism. Her grief was immense when Augustine fell ill and decided to get baptized, only to withdraw his consent afterwards, denouncing Christianity. Augustine’s religious education began in Tagaste and Madaura until he was 16 years old. Next he was off to Carthage, but before long, he fell to the pleasures of the pagan city’s theaters and debauchery. He then confessed to his mother that he had been living a sinful life with a lady with whom he had a child in 372, Adeodatus (meaning The Gift of God). Although he had been raised in a Christian home, he felt as though he could not see nor comprehend the Divine Truth any longer. Still a student, and with the desire to yet again concentrate on exploration of his faith, Augustine became a confirmed Manichaean in 373. He was persuaded by its pledge of free philosophy which allured his interest in natural sciences. It did not, however, rub out his desire of finding his faith. His intelligence having attained maturity, he went back to Tagaste to teach rhetoric. Now in his 30s, he denounced Manichaeism after nine years, citing disagreements with its cosmology and a disenchanting meeting. Going through yet another epoch of spiritual struggle, Augustine went to Italy in 383 to study Neoplatonic philosophy. Captivated by his kindness and generosity, he became a student of Ambrose. Through his mother’s prayers and the preaching of Ambrose, Augustine ultimately became convinced that indeed Christianity was a true religion. However, he did not become a Christian at that time because he thought he could not live a sinless life. One day he heard of two men who had converted to Christianity upon reading the life of St. Antony and he felt guilty. At age 33, the light which Augustine had sought for years finally came to him in Italy as he lay flat under a tree. He cried out to the Lord, “For how long, O Lord? Why doesn’t this hour bring to an end all my transgressions?” At that point, he heard a kid singing in low tone, “Take up and read!” He then picked up a book of St. Paul’s letters. He read the very first passage that he saw. This was just what he wanted, for in it, St. Paul said that we should put away all uncleanness and replicate Christ. From then on, Augustine started a new life. 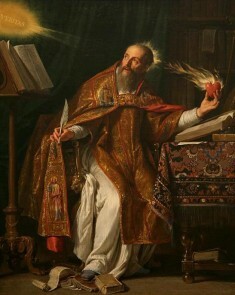 Augustine returned to his hometown of Tagaste where he dedicated his life to prayer, studying sanctified letters, and achieving harmony between the philosophical queries that plagued his mind as well his faith in Christianity. He became a priest in 391. Within five years, his priestly life was very fruitful, consisting of the management of church business, preaching, and writing and supporting to the needy. At 42, he was ordained a bishop of Hippo. He ruled the diocese for 34 years. On August 28, 430, at the age of 76, he succumbed to an illness. 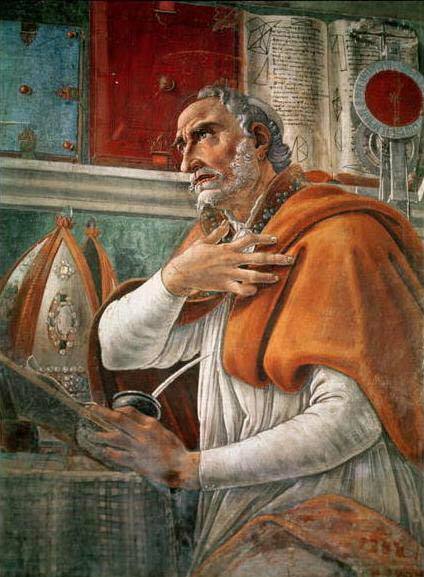 Augustine’s work in ethics, metaphysics, and politics remain vital today. Key among these achievements is his analysis of sin, his metaphysical study of time, and his assessment of the conditions for a justified war. However, his most profound impact came from his interpretation of the Christian faith. In 400, Christianity was barely four centuries old. Augustine produced a very sophisticated interpretation of Christianity. He thought through merging it with the philosophy of Neoplatonism and Plato. With these two ideas, according to Augustine, Christianity takes on God’s idea as an independent, immaterial truth – the transcendent God.